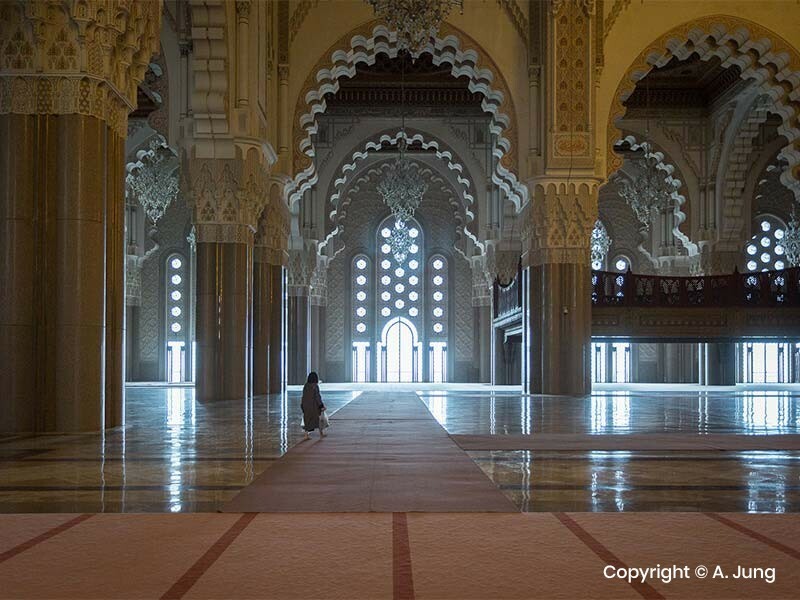 Today starts with a visit the Hassan II Mosque before departing to Rabat (the capital). 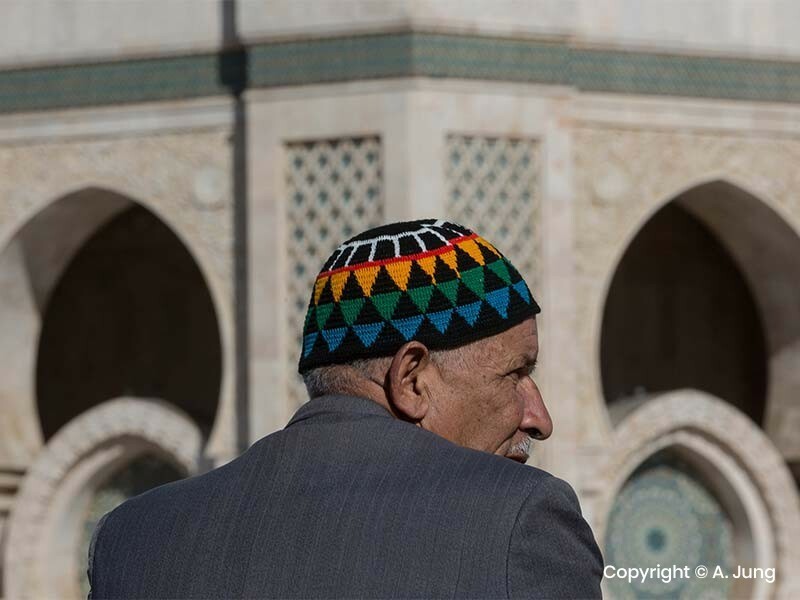 In Rabat we’ll visit the Royal Palace, the ruins of Chellah, the Mohammed V Mausoleum and the Hassan Tower and of course its souks and medina. Then, we’ll depart to Meknes where we we’ll have dinner at a local restaurant overlooking the square opposite the Bab el Mansour gate. After dinner, we’ll retire to a local hotel. 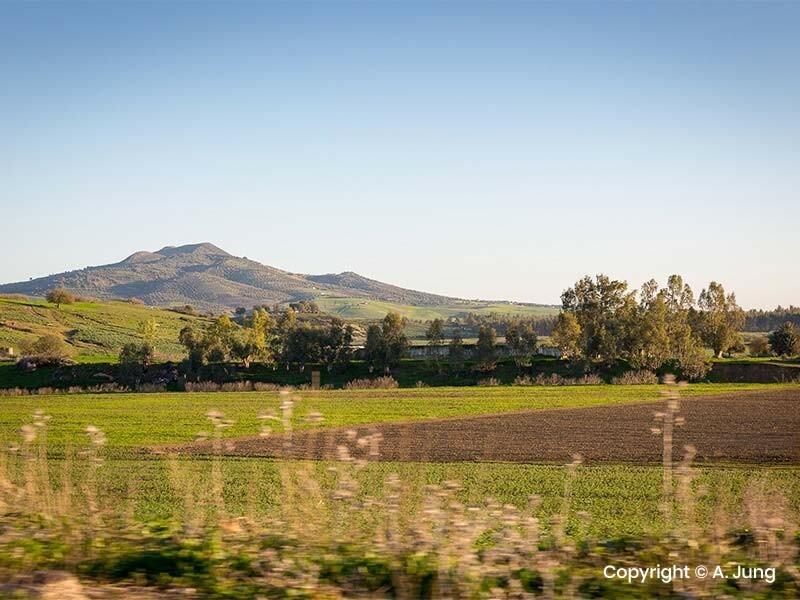 From Meknes you’ll head out to visit the ancient Roman ruins of Volubilis before continuing to Fes where we’ll spend the night at a local Riad / Hotel (including a complimentary dinner and breakfast). The day begins with a drive towards the Atlas Mountains stopping to visit the village Ifrane, where we’ll get a chance to explore the famous cedar forest, home to the Berber apes. We’ll then continue through the Tiz Ntalghamt Mountain Pass and the Ziz Gorge (here we can stop for pictures and lunch) to Midelt. From Midelt we’ll continue through the Ziz Valley to Er-Rachidia, in the Southern Province before retiring to the traditional village of Erfoud where you’ll spend the night. After breakfast we’ll leave for Rissani where we’ll stop for lunch before continuing to Merzouga in the late afternoon to a local hotel with a number of restaurants and a swimming pool. 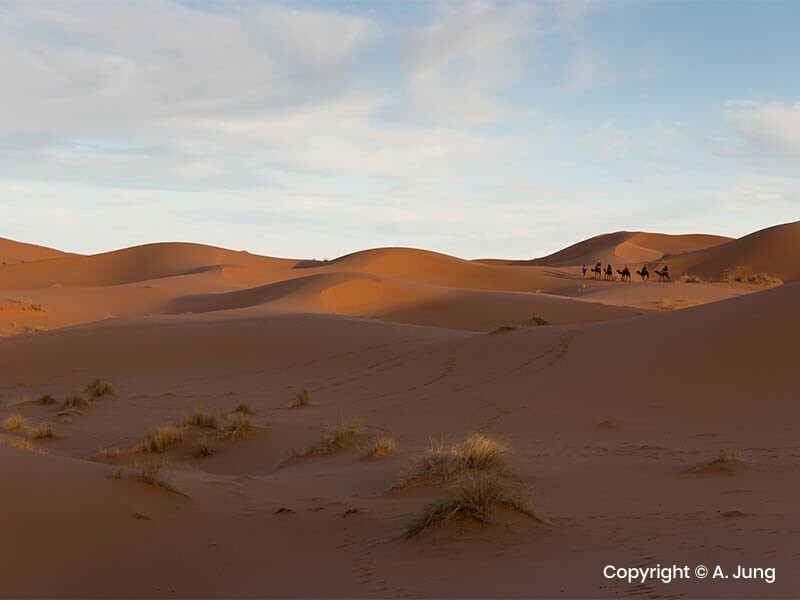 Before the sun sets, you may want to take a wonderful walk around the nearby dunes of Erg Chebbi. It’ll take us around 90 minutes to reach the campsite after that, once there, we’ll enjoy a beautiful sunset over the dunes and once dark, our dinner will be served around a campfire. This night will be spent in Berber tents in the desert. After breakfast and a refreshing dip in the pool you’ll travel via 4x4 some nearby caves where natural fossils can be found. After exploring the caves, you’ll be taken to the small and ancient village of Tissrdmin, where many movies have been filmed. You will then pass through the Black Desert, which adopted the name due to the presence of volcanic stones, where we’ll share tea with a local Tuareg family. We’ll also explore the desert region around the Erg Chebbi desert dunes where you’ll have the opportunity to see the nomad’s way of life and the marvelous contrast of the desert. We’ll later pay a visit to the black village of Khamlia; where we’ll indulge in the music of the Gnawans. For lunch we’ll delight in a traditional Berber Pizza in the ancient capital of Rissani and in the late afternoon we’ll ride on camelback to watch the sunset over the dunes and spend the night in the desert camp. Upon arrival at the camp we’ll have a traditional Tagine dinner, drink delicious local mint tea, and listen to traditional Berber music around a campfire while watching the stars and the rising moon in the amazing Sahara desert. We’ll continue to the Unesco World Heritage site, the Ksar of Ait Ben Haddou, famous for being used as a filming location for Hollywood movies such as Lawrence of Arabia, Gladiator, and for the famous HBO series Game of Thrones. We’ll then take the Tizi-n-Tichka mountain pass to Marrakesh, where we’ll spend the night. 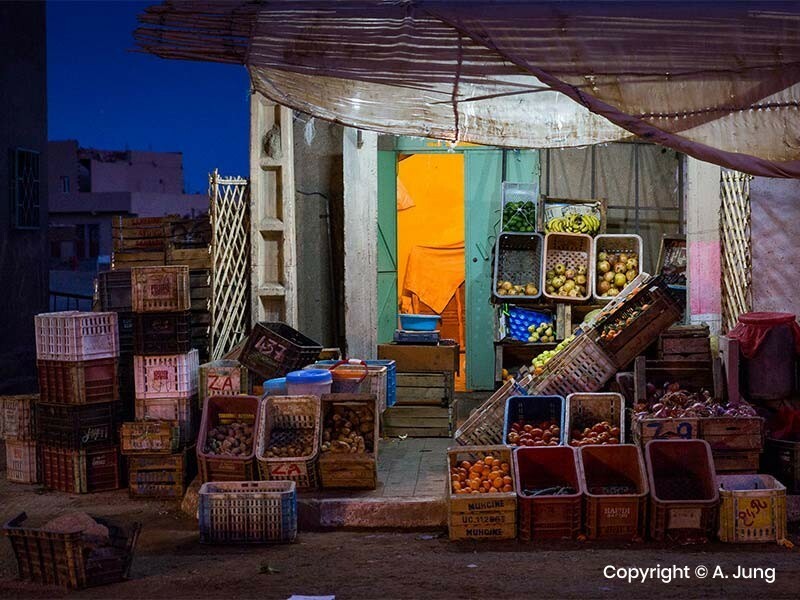 Today we travel from Ouarzazatte to Taroudant; this Berber town developed in turn of a market located in the southern region of Morocco. Noted for local crafts (jewelry, carpets, pottery etc. ), Taroudant is located on the route of the caravans (used for trade). It has said to resemble a smaller and less-chaotic Marrakesh. We’ll spend this night at a local Riad / Hotel. From Taraoudant you will continue on to Tafraoute, a delightful city, sheltered from the hot African weather by granitic rocks that surround it, a spectacle of nature that allows you to experience this unique part of Morocco. You will continue along this route to Agadir where you’ll spend the night. We’ll continue today towards the Atlantic coast where Essaouira, the Pearl of the Atlantic, is located. In the afternoon we’ll check in at a local Riad and then head out to watch the sunset from the Murallas (walls that fortify the city), an experience you can’t miss. You’ll get a chance to explore the ancient city ‘Mogador’ (Essaouira), a name given by the Portuguese. Rated as one of the most beautiful coastal cities of the Atlantic, its medina is a canvas of blue and white surrounded by lengthy beaches and the ancient citadel walls of the Portuguese colonial époque. In the evening, we’ll be treated to a dinner of the freshest fish in the city, and later take an evening stroll through its quiet and picturesque setting. Today you’ll get the chance to discover Essaouira for yourself. Essaouira has a rich historical background as well as a very touristic appeal due its annual music Festivals. Located by the ocean, its blue and white port is a center of commerce for the local fisherman. There, you’ll find some of the freshest seafood in all of Morocco. You may want to have lunch at the local restaurants that reside near the port, where you can pick the fish of your preference to be prepared to your liking. 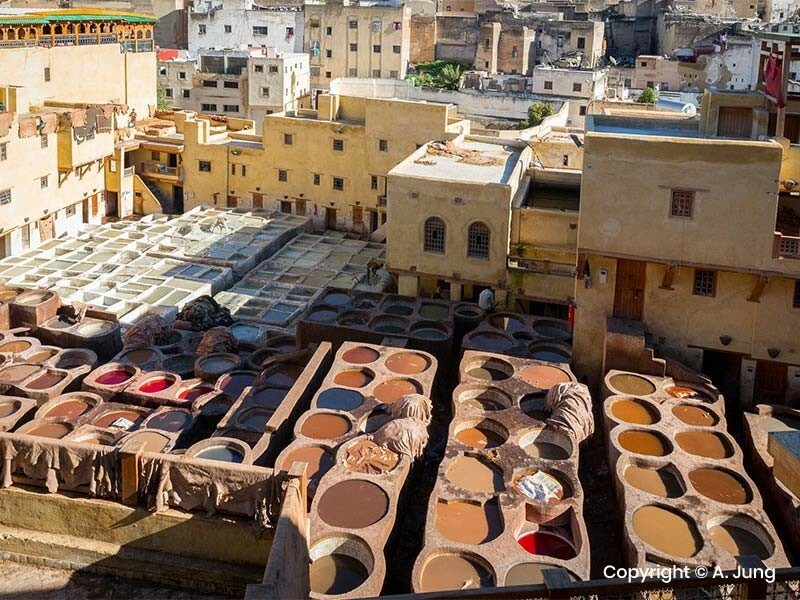 After breakfast at your hotel we’ll depart to Marrakesh, where you’ll spend the night at a local Riad / Hotel. Depending on your flight, we may relax during the early part of the afternoon before departing to Casablanca, arriving around 4pm, where our tour ends.